Pirin national park has become an example of the Bulgarian government’s unwillingness to establish the rule of law. When all eyes in Europe are on Bulgaria because of its Presidency of the EU Council, we need to see a strong message from the EU, writes Veselina Kavrakova. Veselina Kavrakova is the WWF Bulgaria country director. Baykusheva mura – the name alone sounds mythical and, at 1,300 years-old, it is believed to be the oldest pine tree on the Balkan peninsula. This ancient tree is located in the Pirin National Park in Bulgaria, which is also home to brown bears, wolves, chamois and the rarest woodpecker in Europe. It is a UNESCO World Heritage Site, an EU Natura 2000 area, and a protected area under Bulgarian law. One would think that such protection under three different legal regimes should be sufficient to keep destruction at bay. Alas, it’s not. Instead, the Bulgarian government decided to open up almost half of Pirin National Park to construction, and this just days before taking over the EU Presidency. As a result, citizens in almost 50 cities in Bulgaria and abroad took to the streets and have been there every week since then, in the biggest wave of civic environmental response ever witnessed in the country. The controversy is also making waves in international media, not least thanks to the participation of Ska Keller (president of the Greens/EFA Group in the European Parliament), which had resulted in a threat by the Deputy Prime-Minister Valeri Simeonov to expel her from the country calling her a “green jihadist”. Already now, Pirin is badly scarred. The construction and expansion of a ski area above the towns of Bansko and Dobrinishte since 2003 have led to the clearance of more than 160 hectares of forests, including old-growth trees of up to 300 years old. Consequently, in 2010, UNESCO demoted these ski areas from the World Heritage site, categorising them as “buffer zones”. One year later, data from the Bulgarian ministry of environment and waters revealed that the ski zone had been utilising 60% more territory than originally contracted and that about 40% of the Bansko ski resort facilities were constructed without fulfilling the necessary legal requirements. But neither the government then, nor any of its successors since have been eager to check why that happened, nor how to stop it to save Pirin. Quite the opposite is true: it has emerged that the developer of the ski area has concrete plans to expand the ski runs from the current 50 km to as many as 333 km, and it looks like the current government is willing to help with this destructive endeavour. In fact, at the end of December 2017, just days before taking the EU Presidency, the Bulgarian government announced yet another move, presenting a revised Pirin National Park management plan which would allow additional construction in up to 48% of the park. While Prime Minister Boyko Borissov claimed that this was necessary to allow for the construction of a second gondola lift to whisk skiers from Bansko town to the slopes, no second gondola is even mentioned in the revised plan, so this was clearly an empty excuse. WWF with its partners is currently engaged in two separate Bulgarian court cases, fighting the government’s intentions to expand the ski resort and allow for logging in the national park, which would threaten up to 60% of the park’s area. The first instance judgement in the first case – which appeals the lack of an environmental impact assessment in the draft new management plan for Pirin National Park – is expected this spring. More than 125,000 people from 150 countries have signed a WWF petition urging Bulgaria’s Prime Minister Boyko Borisov to protect Pirin, including celebrities like Jared Leto and the Di Caprio Foundation. 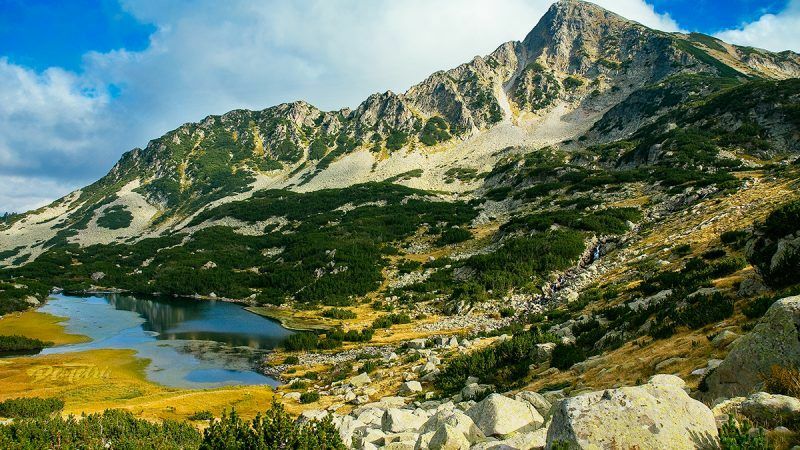 Meanwhile, a new WWF report published in January showed that Pirin National Park had already suffered irreparable damage from the construction and expansion of the Bansko ski resort. The analysis found that the ski resort has also compromised Pirin’s long-term economic value and delivered a mixed economic impact to date. While more skiing tourists flock in for a cheap holiday, property prices are down and summer unemployment is on the rise. At a time when all eyes in Europe are on Bulgaria because of the Presidency of the European Council, we need to see a strong message from MEPs, the European Commission and also from UNESCO. European decision-makers need to ensure that Pirin remains protected and that the Bulgarian government stops all breaches of national and EU legislation, and also respects the World Heritage Committee decision against the expansion of the ski zone. We also urge the EU environment ministers to raise this issue with their Bulgarian counterpart at their informal meeting in Sofia on 10 and 11 April. Pirin has become an example of the Bulgarian government’s unwillingness to establish the rule of law. Not only would this transform Pirin into a ‘paper park’ and threaten to destroy one of Europe’s natural treasures, but it would also make EU nature protection legislation meaningless – and thus represent a dangerous precedent for the blatant disregard of legal commitments.